Honeycomb is a versatile, light and easy-to-use folding chair. 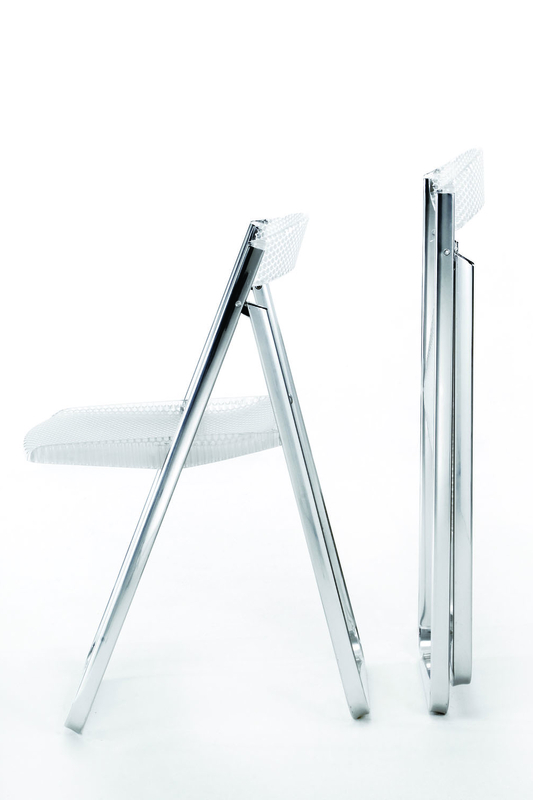 It has an aluminium frame, while its backrest and seat are made of transparent or mass-tinted polycarbonate. 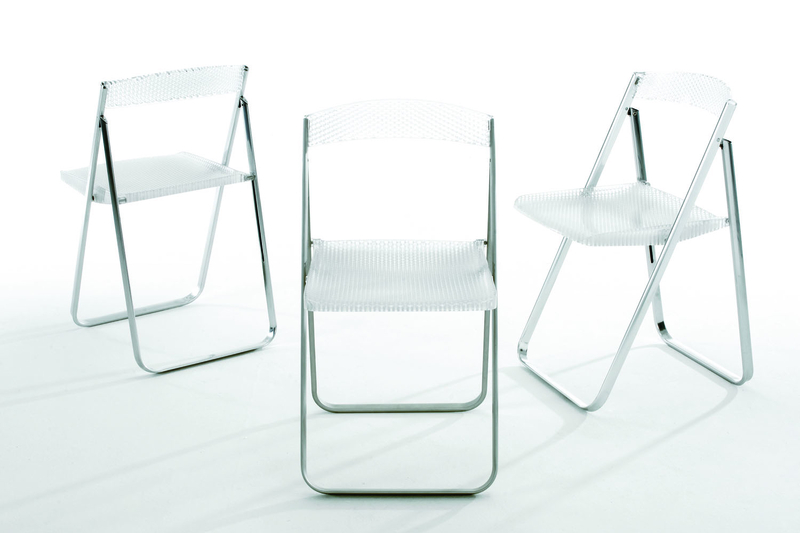 The refinement of the structured texturization, divided into hexagonal honeycomb modules, confers on this chair not only the aesthetics of three-dimensional decoration, but also functionality, lightness and ergonomy. 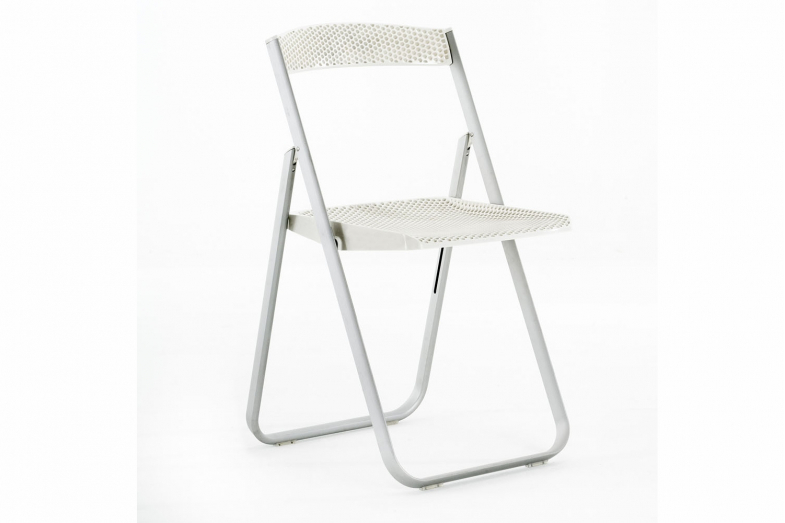 Perfect for outdoors and small spaces, the Honeycomb is just 7cm wide when folded.